That’s how Eleanora describes her work with individual clients. That’s how Eleanora describes herself. Together, this grounded humility and intense connection to Spirit make Eleanora Amendolara the powerful healer, teacher, and alchemist she is. 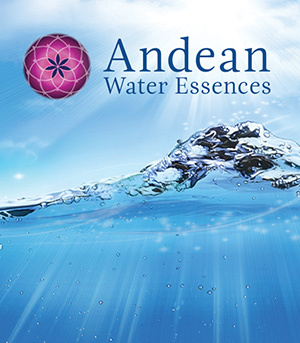 Eleanora’s work with clients and students is rooted in a mix of the practical and the mystical. She meets people where they are as they struggle with spiritual, psychological, and physical challenges. Then, she helps people step beyond those limitations, inviting them to gracefully expand into health, wholeness, and a deeper state of consciousness. In the last few years, Eleanora has experienced a tremendous opening of consciousness and has become increasingly familiar with vast dimensions beyond the usual realms of perception. She has an ability to truly “own” and integrate these ever-deepening teachings into her own life and work. In turn, she can hold space for her students and clients as they undergo their own healing and transformation. Bridging the worlds, Eleanora helps people to find solutions to practical issues by showing them how to tap into the Infinite. Rather than confining herself to a single spiritual path or lineage, Eleanora has studied with teachers from across the world. Ultimately, she trusts her own connection to the guides and to Spirit. Eleanora has received direct instruction from guides and masters including Sun Bear, who embodies the integrated soul of North American shamanism and Usui Sensei, the Master of the Reiki tradition. The influences of both Goswami Kriyananda and The Mother have helped Eleanora to re-member, piecing together pieces of ancient knowledge across the traditions so that she can anchor and share the wisdom in this lifetime. Eleanora also has over twenty years experience as a Health Kinesiology (soon to be known as Natural Bioenergetics) practitioner. She is one of the few authorized HK trainers in the US. The art and science of muscle testing remains an integral part of her work, giving her the ability to support her intuitive work with subtle energy with the quantitative power of kinesiology. Along with Eleanora’s pioneering Chumpi Illumination work, muscle testing is a foundational concept in Eleanora’s Sacred Center Mystery School. Before dedicating herself fully to her spiritual and metaphysical studies, Eleanora received a Bachelor’s degree in Russian, which led her to a job transliterating existential periodicals from what was then the USSR for the American Institute of Aeronautics and Astronautics. A credentialed educator, she has also taught art in the New York Public Schools. When still in her twenties, Eleanora spent three years to traveling by Land Rover, exploring Eastern and Western Europe before moving on to Morocco, Iran, Afghanistan, Nepal, and India. The opportunity to disconnect and de-program her typical American mindset was invaluable and illuminated her path as a teacher, an adventurer, a healer, and a visionary. Returning home, Eleanora began to build her qualifications as a healer and a teacher of healers. This journey is detailed in her 2012 spiritual memoir, Standing Naked In Rose Petals. Don Mariano Turpo was the Keeper of the Rainbow Lagoon in Ausangate. He left this earth several years ago, but Eleanora returns to visit his widow each year (pictured on the left). 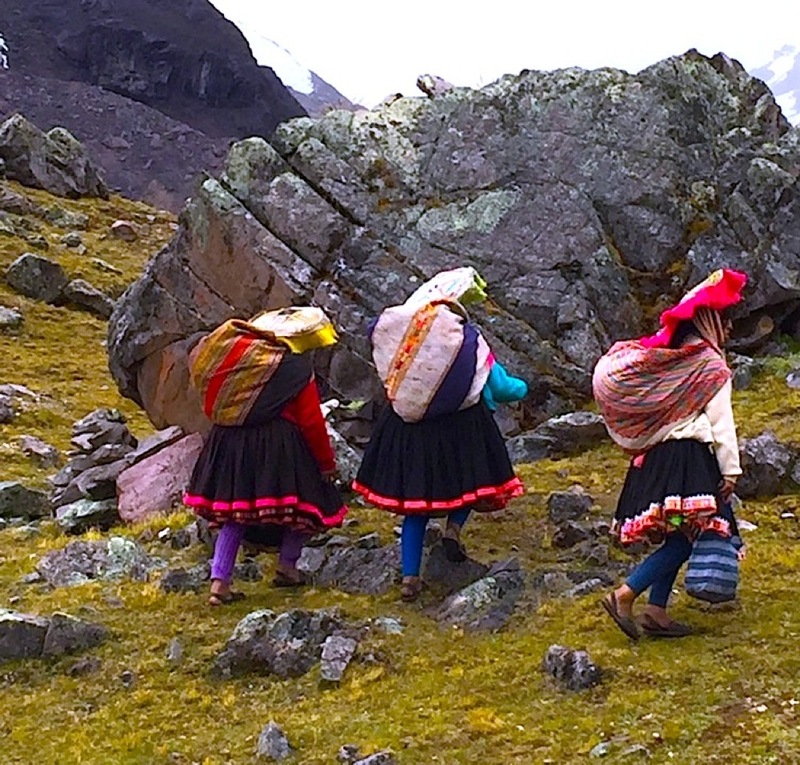 In the mid-1990s, Eleanora found her spirit’s true Source when she visited the Andes of Peru. Her heart was thrown wide open as she traced her way through ancient temples, meditated on mountain tops, and experienced visions at the edges of lagoons. Sitting amongst the Indigenous Elders, including the Q’ero healers, taught her how to coexist in true harmony with all that is. 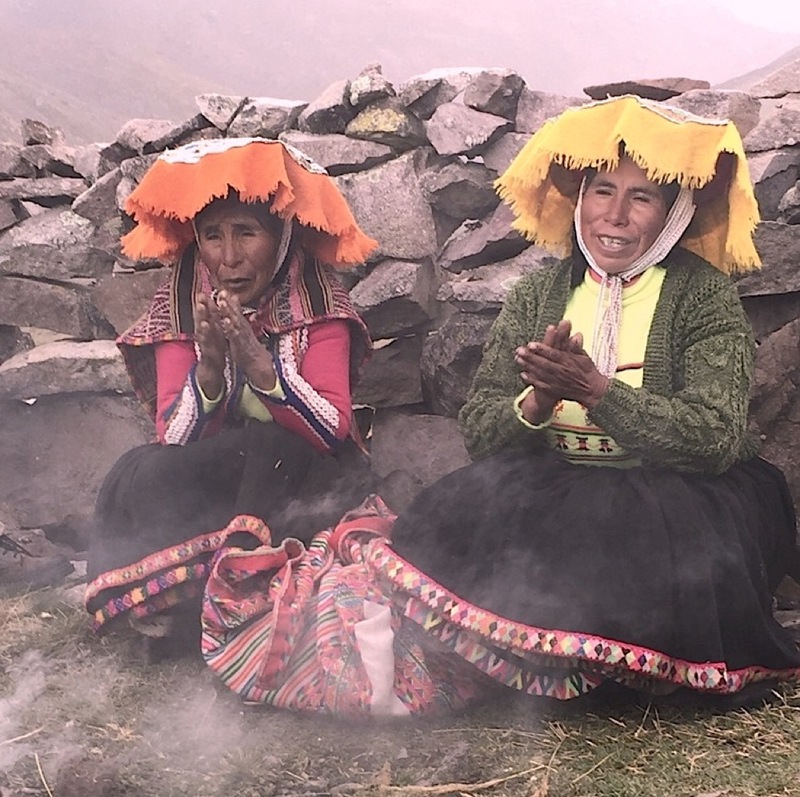 Eleanora leads annual journeys to Peru, sharing her love of the region, culture, and mystery of the land she sees as the sacred center of our world. 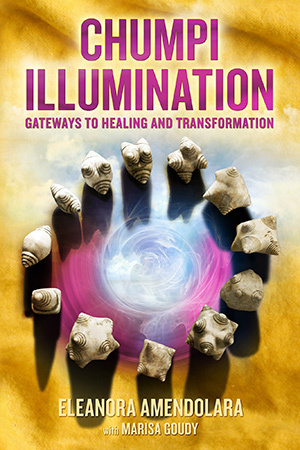 Eleanora’s life’s work culminates in her signature approach to healing and awakening: Chumpi Illumination. Drawing on all of her studies, her channelling abilities, her journeys across the world, she has discovered a way to use the Chumpi stones of Peru to create stargates that open the individual to the wisdom of the cosmos. Though she sees clients in New York City and Brooklyn and teaches across the country, the Eleanora’s work as a healer and teacher is rooted in the Sacred Center in Warwick, NY. She welcomes Mystery School students to several classes each month and performs individual healings in this idyllic setting. Nestled in the woods with a stream flowing through, the Sacred Center’s many windows open to passing herds of deer, soaring hawks, and mother bears with their cubs. Surrounded by sacred tools from across the world and the presence of guides from across dimensions, Eleanora inspires everyone who enters to discover their own connection to Spirit and to the Greater Reality. Book a healing session with Eleanora. Learn about what awaits you in the Mystery School.